I have completed my first daring bakers challenge! It went very well and only took me three and half hours to complete. 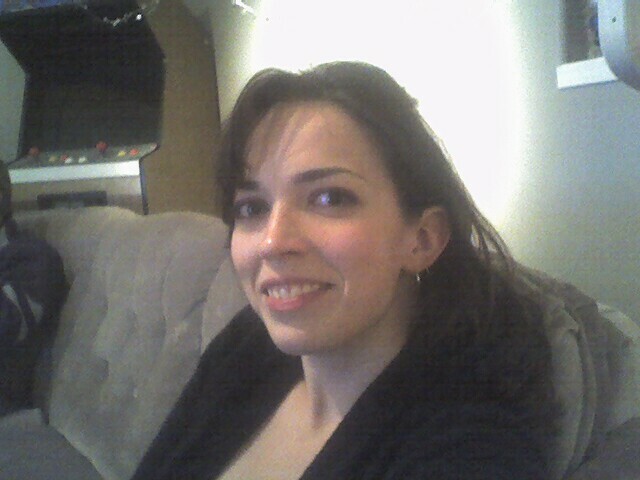 I think thats a really good time. I made sure that the little man was safely in bed before starting because it makes doing anything in the kitchen about a hundred times harder with him under my feet. I decided to make an almond cake with lemon syrup and a layer of strawberries, lemon-vanilla butter cream and white chocolate mousse and ganache. I started with the butter cream because I was sure that was the area I was going to screw up. Thankfully, it worked the first time! It also means that I have two and half pounds of unsalted butter in my fridge. Good thing I really like to bake! The butter cream was delicious, I had splurged and bought two vanilla beans just for the occasion. I still haven't figured out what the other bean will be used in. Maybe some vanilla ice cream or something that will showcase it's fabulous flavor! 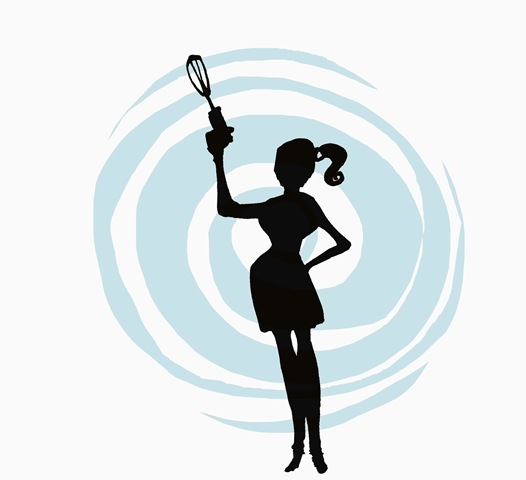 Any ways I was very impressed with the butter cream and would definitely try it again! The almond cake was OK, I did enjoy it but it was definitely not the best cake I had ever made. I had decided that in order to save some money I would make the almond meal myself and I think it worked really well. It just wasn't my favorite cake. I think what made me not be super excited about it was the eggs in it. There was a lot of eggs. I thought I could taste eggs a little so that might be why it wasn't my favourite. The lemon syrup was good, not much too it. Worked the first time. Although, I didn't notice that the heat was really up so when I added the sugar it bubbled up like a volcano! The white chocolate mousse and ganache was really good. 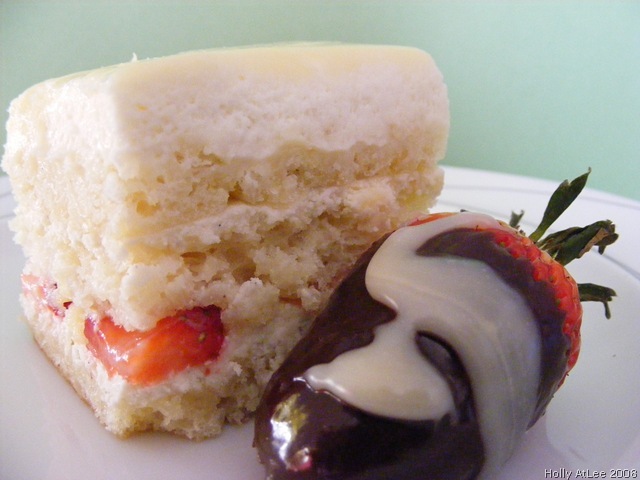 I am not usually a white chocolate fan but I thoroughly enjoyed both areas of this cake. My husband, who is a white chocolate fanatic thought it was really good. Easy to make and was definitely worth the effort. 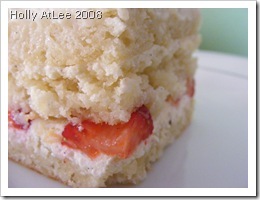 Overall, I enjoyed the challenge and look forward to the next Daring Bakers challenge! Never would have thought of making an Opera Cake on my own. I don't know that I would make it in this flavor combination again. I would definitely try the coffee/chocolate combination it is made with traditionally. My two favorite things in one cake, how could you go wrong?! Adapted from Dorie Greenspan’s Paris Sweets and Tish Boyle’s and Timothy Moriarty’s Chocolate Passion. Preheat the oven to 425◦F. (220◦C). 1¾ sticks (7 ounces; 200 grams) unsalted butter, at room temperature (Used to say 1¾ cups of butter but it should be 1¾ sticks). Continue to cook, without stirring, until the syrup reaches 225◦F (107◦C) (Note: The original recipe instructs to heat the syrup to 255◦F (124◦C). We heated it to 225◦F and it worked just fine. However, if you are concerned, then by all means heat your syrup to 255◦F.) on a candy or instant-read thermometer. Once it reaches that temperature, remove the syrup from the heat. Your cake looks so good!! Yummy!! Bravo! Your cake is beautiful! I agree, I probably won't make it again. It was all about the challenge, right? Your so right! I never would have even attempted it without it being a Daring Baker's Challenge. I'm so glad I tried it. Well done! 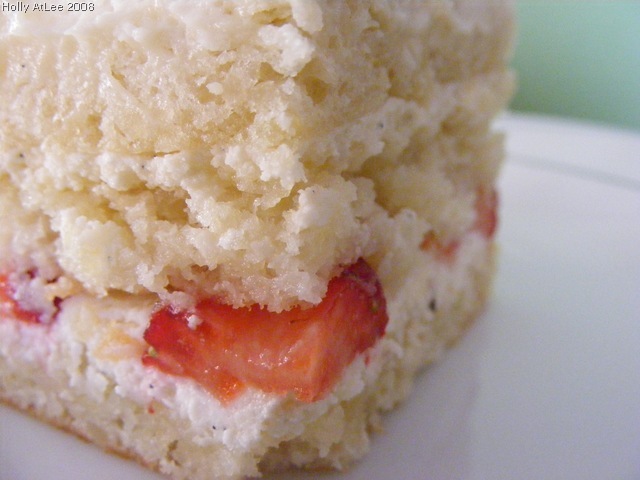 What a delightful looking cake, and I love your use of fresh fruit . . . yum! I too had to make use of naptime to complete it! Boiling sugar syrups and babies underfoot just don't go well hand in hand. Congratulations on a great cake! 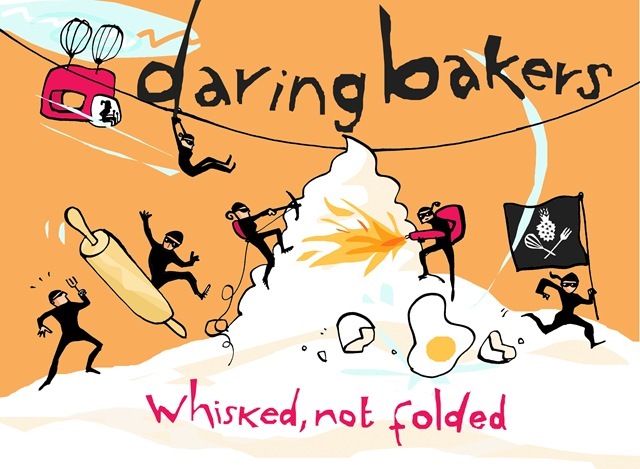 Welcome to the Daring Bakers. Great flavours to a lovely cake. I'm planning to make this cake in its traditional version, too. Sounds like a great flavor combination. I love the border and drop shadow on the pictures - very professional! Your cake looks amazing and I am glad that everything turned out well for you.. and you are sooo lucky to have those 2 pounds of unsalted butter kicking around... just imagine all of the yummy things you'll make with that yuuum!! 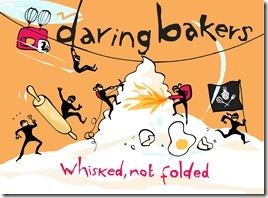 Welcome to the Daring Bakers and I hope you have lots of fun with us! Congrats on your first challenge. It looks fabulous! What a first challenge! Great job. 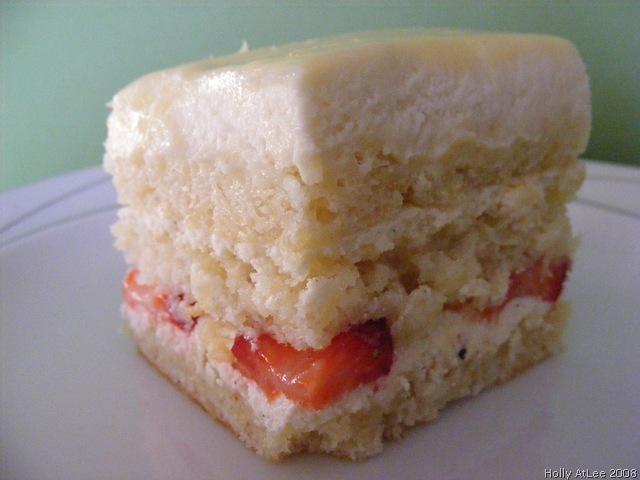 Your strawberries and lemon opera cake looks fab! Great job on your first challenge. It looks really good and strawberry lemon sounds yummy!